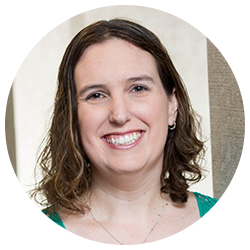 Jennifer graduated from Wheaton College in 2002 and wanted to find a job where she could help people. She has been part of the team at Welcome Smiles for 10 years and likes spending time getting to know the patients and helping them. Jennifer strives to meet every patient’s needs while also doing whatever she can to help her fellow team members. She wants every patient to have the best possible experience and is willing to go above and beyond for them. In her spare time, Jennifer likes to travel, volunteer, and spend time with her husband and dogs, Dakota and Bailey.